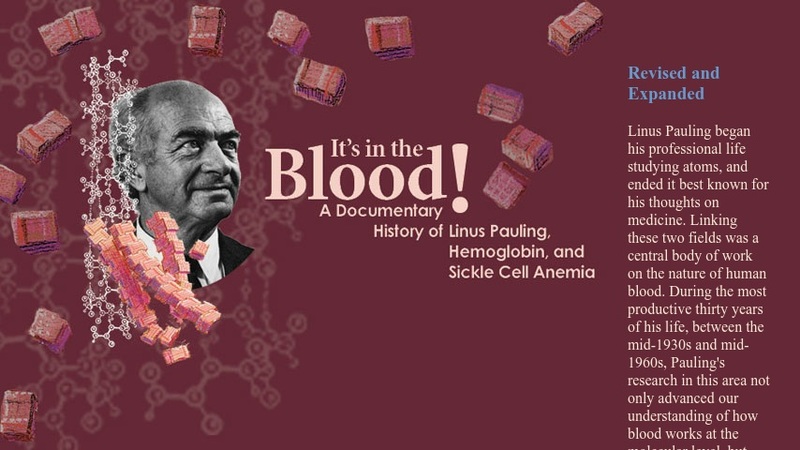 This website from the Valley Library at Oregon State University is subtitled: A Documentary History of Linus Pauling, Hemoglobin and Sickle Cell Anemia. The site is part of a series of Valley Library websites that focus on different aspects of chemist Linus Pauling's notable career. The site is composed of three main sections. The first section narrates "the story of Linus Pauling's research into the nature of human blood. The second, and most impressive, "provides access to more than three hundred primary source documents and images, including letter, manuscripts, diary entries, photographs, audio-visual materials, and published papers." The final section is yet to be completed, but will offer daily accounts of Pauling's activities between 1940 and 1949. The website also includes a hyperlinked Chronological List of Documents on the site, a sizeable bibliography, and links to a few websites concerned with sickle cell anemia and hemoglobin.